The VPN Lab - VPN Guides - Netflix Guides - Does FrootVPN Work With Netflix? FrootVPN is one of the most affordable VPNs on the market, allowing you to enjoy its protection for as little as $2.99 per month with the annual subscription. 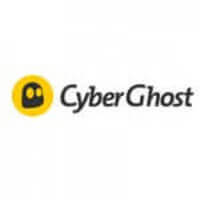 It is not the most advanced VPN solution you can find, but it is rather fast, uses high-level encryption, does not keep any logs of your activity, is P2P-friendly, and offers unlimited bandwidth and speed and 5 simultaneous connections. Keeping in mind the exceptionally low price, we have to say that it offers more than we expected. When Netflix first declared war against VPN and SmartDNS services, FrootVPN boldly stated that it would not stop fighting for its users’ right to enjoy any content they want and assured its customers that they could still stream US Netflix using its service. A lot of time has passed since then, two years to be exact, and we are here to find out whether FrootVPN service is still able to live up to its promises. During 2017, it was obvious that FrootVPN was having troubles providing its users access to US Netflix Library. However, some of its servers did work, most notably the Mexico City server, although not 100% of the time. We ran our usual tests this month and we were unable to access US Netflix no matter how hard we tried. None of the servers worked and we exhausted all known options. We tried to get in touch with the support staff because we wanted to see if they possessed any useful information or advice. However, we waited forever for a non-helpful response. Although we cannot say that FrootVPN will not work with Netflix in the near future, we can say that it does not seem to work at the moment and that it is not the most reliable option since you never know what to expect. Unfortunately, the service does not offer a free trial, so if you do not want to spend any cash on a subscription, we advise you to wait for a bit. 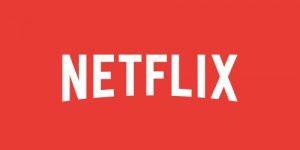 We will include FrootVPN in our future Netflix tests and update this post in case the service provider resolves its current issues and regains its ability to unblock Netflix. Want to find out even more about FrootVPN? Make sure to check out our FrootVPN Review for detailed information about this VPN provider.